Are Batman and 24's Jack Bauer heroic loners defending our way of life - or right-wing vigilantes attacking it? Is Avatar just a National Geographic version of Star Wars or a passionate assault on capitalism? And what about Game of Thrones - sword and sorcery fantasy, or lesson in mainstream politics? In The Sky is Falling! 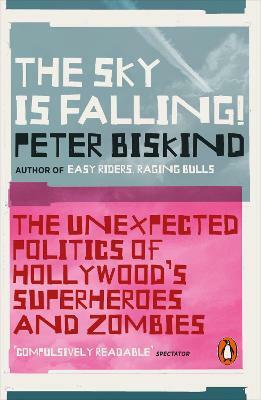 bestselling cultural critic Peter Biskind takes us on a dizzying ride across two decades of pop culture to show how the TV and movies we love have taught us to love political extremism. Welcome to a darkly pessimistic, apocalyptic world where winter has come, the dead are walking, and ultra violence, revenge and torture are all in a day's work. Welcome to the new normal.